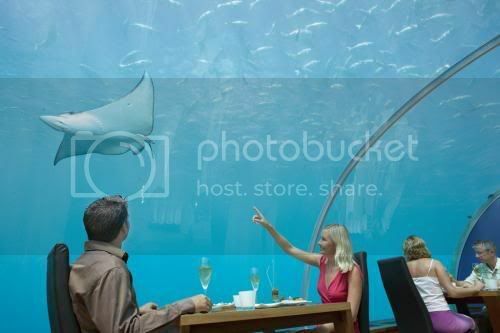 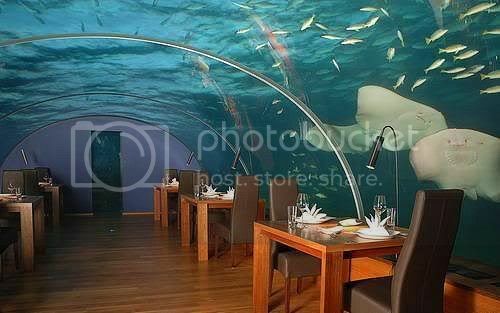 "Dine 16 feet below sea level at Ithaa, the Conrad Maldives Rangali Island's unique undersea restaurant. 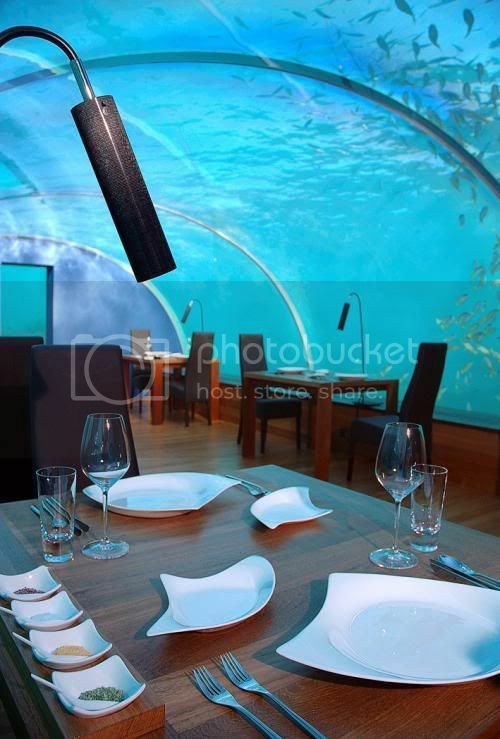 Marvel at 180° views of reef and marine life, sip champagne cocktails and sample Maldivian-Western fusion cuisine at this spectacular Maldives venue – the world’s first all-glass, undersea restaurant. " 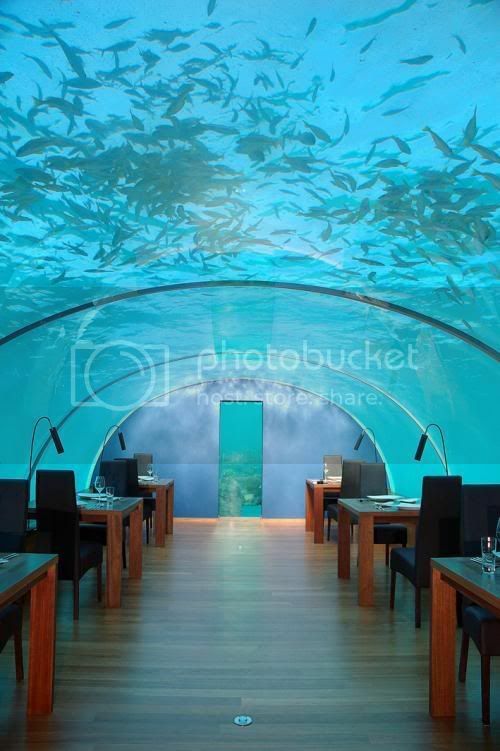 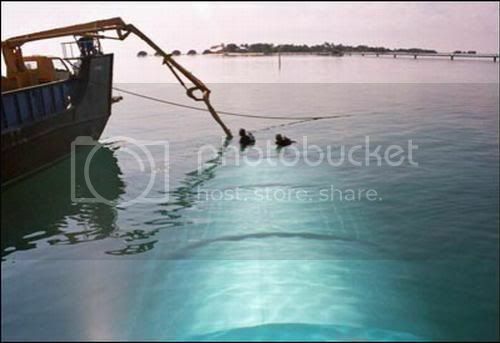 This is cool - but the Maldives are in the Indian Ocean, not South America.